This Passover, my sister rented a house and invited my family to join her and her son - ergo our roadtrip to save a few hundred dollars in airplane tickets. With the price of gas being under $2 a gallon it came out to less than $100 for the 5 of us to drive down (including snacks along the way). It's about a 16 hour drive so we caravan-ed down in two cars (my youngest brother drove down with her) and crashed for a few hours at a rest stop. Normally we get a motel along the way but it doesn't pay to get one at 3 AM when the kids are happily sleeping in the car. My parents and middle brother flew down and are staying at the Hyatt Regency so we headed over to hang by their pool. Our rented 4-bedroom house has a small pool but my kids like to swim in EVERY pool, the same way I like to shop where ever I go. Sadly, other than a 5 minute trip to Ross for flip flops for my nephew, I haven't been able to explore the local outlets. As any parent knows, it's not called vacation when you have kids. It's visiting or traveling. Vacation can only be sans kids. I'm currently in mommy-mode and I'm at their mercy. No matter, May has many a sample sale on the schedule and I'll be able to shop back in NY. I love my local H&M. Because they don't carry the higher end lines, they immediately put returns on the sale rack and discount them to 50% off. If a piece sits on the sale rack (or happens to be there when they are slashing prices) it drops further. This Studio Collection kaftan is currently retailing for $149 but I found it recently for just 30 bucks! Because it has so much fabric, I paired it with my favorite $90 Jimmy Choo Peekabo wedges to give me some extra height and balance the look. My Jimmy Choos are my favorite summer wedges. I can seriously run a marathon in these. They're tall but insanely comfortable. For me, running in heels is a requisite to motherhood. Lots of pics this time - can you tell how much I love my new Kaftan? My photographers for the day included my son, nephew and little miss Ella who enjoys getting behind the camera as well. She like to steal my sunnies when I shoot her if she isn't wearing her own. Thrifty mommy tip - you can buy brand new swim separates at Goodwill for about a buck a piece, They have brand new pieces from Target that get separated so we mix and match to make our own sets. This bottom is actually from a cheap $3 Children's Place bikini that I got in every size a few years back. My skinny mini 9 year old needs to wear a 3/4 or 5/6 on bottom or it falls off LOL. My girls can wear their clothing for at least 3 years - a little big, fits, then a little small. By the time they outgrow anything they are seriously sick of it. Last but not least, because I missed my #freebiefriday on Instagram, I'm making it up to you with a even better giveaway. 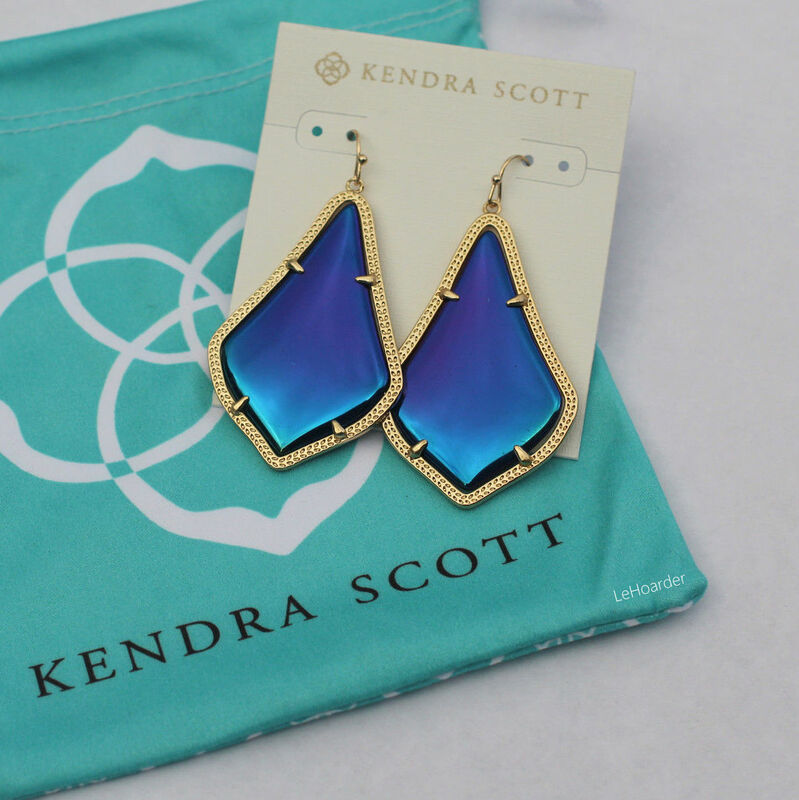 Picked up a couple of these Kendra Scott Alexandra earrings for less than $20 at Nordstrom Rack (retail $75). Head over to my Insta here to win a pair! For all those who are celebrating - happy Passover! Either way, have a great weekend! Haha thanks Shira :) Lucky you - can't wait to see what you got. Save some money for Minkoff!!! Cute look! When is Rebecca Minkoff?? I loved that piece in person, the details were well done and for $30, it's perfect for summer! Nothing beats pool/water/vacation backdrop for photos, even more beautiful for photos! !